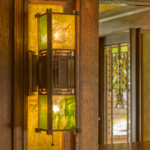 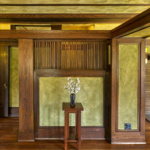 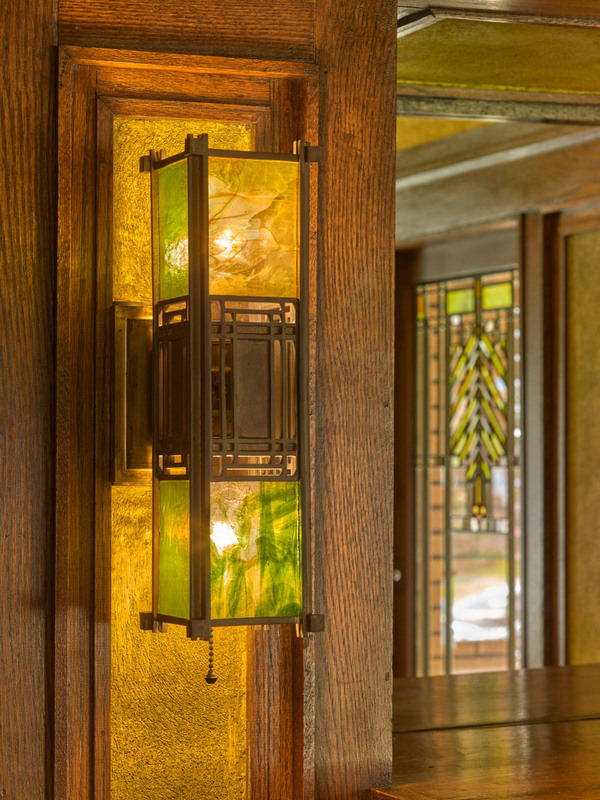 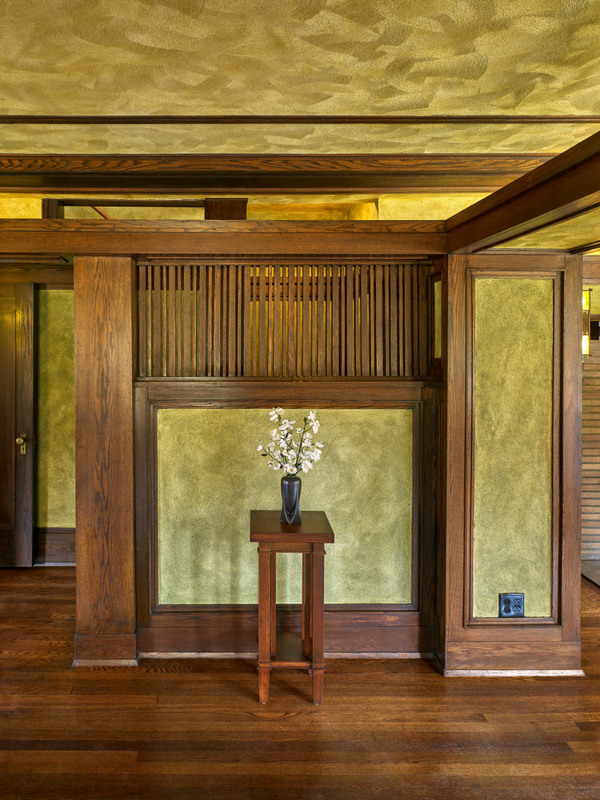 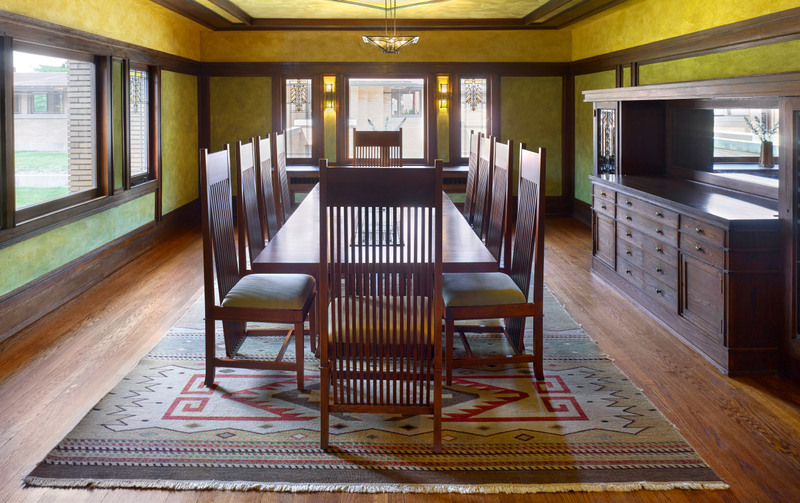 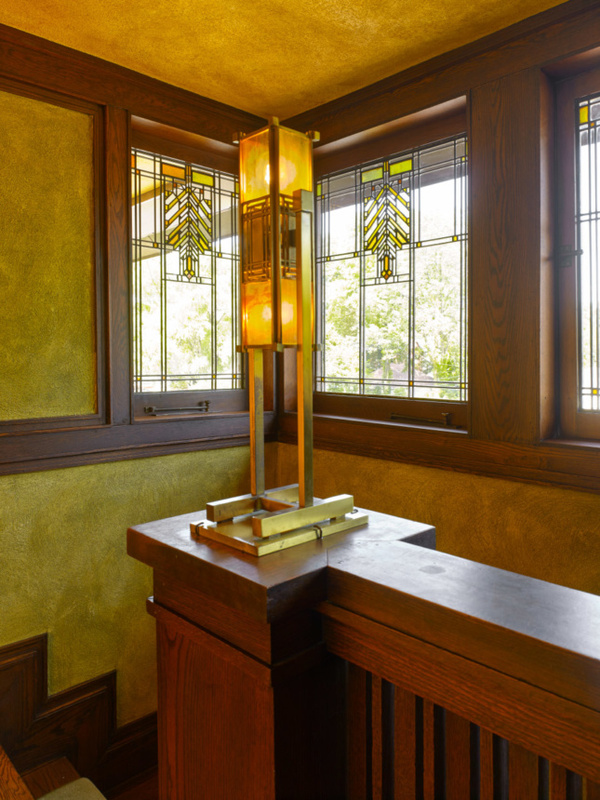 After a $2-million total restoration, the Frank Lloyd Wright–designed George and Delta Barton House in Buffalo, New York, is once again open for visitors. 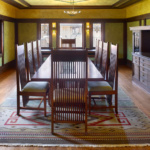 The Barton House, built in 1903–1905 as one of six interconnected buildings on the Darwin D. Martin House residential compound, was Wright’s first East Coast commission and introduced the Prairie School to the public. 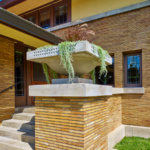 The Barton House, a commission by millionaire Darwin D. Martin for his sister Delta Barton and her husband George, was a bit of a test-case for Wright; Martin was so impressed that he tapped Wright to later design the rest of the complex, including the larger Martin House. 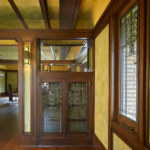 The Barton House restoration was some twenty years in the making and began with the founding of the Martin House Restoration Corporation (MHRC) in 1992. 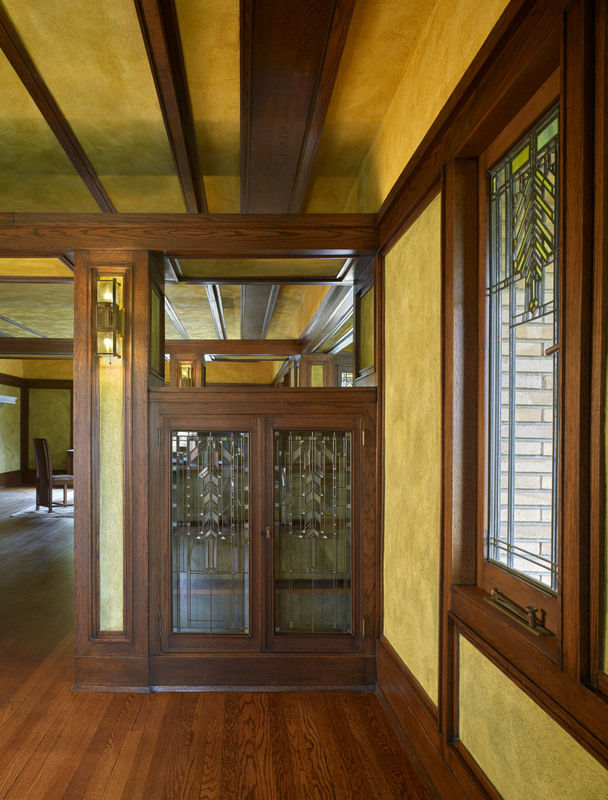 Renovations on the site began in 1996, and restoration of the Barton House proper began in September 2017 based on the research and plans produced by Buffalo’s HHL Architects. 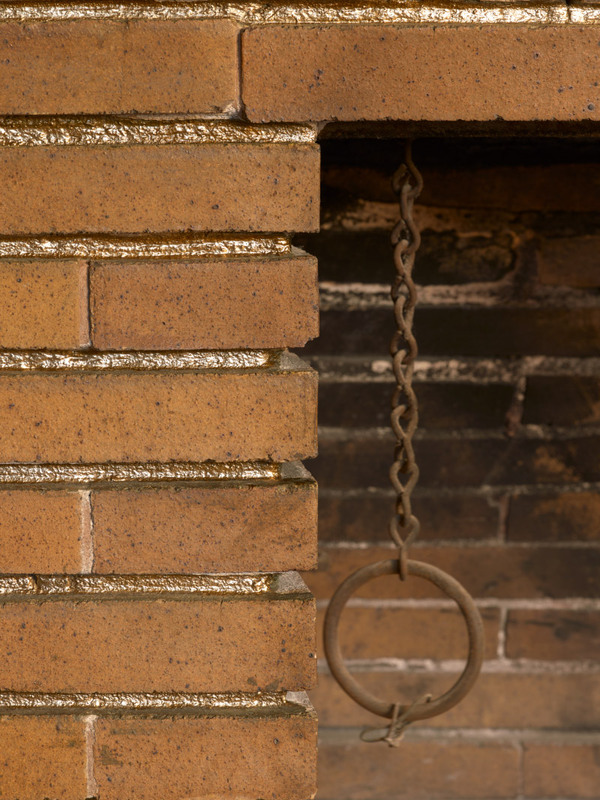 Only three of the six Martin House buildings currently remain standing. 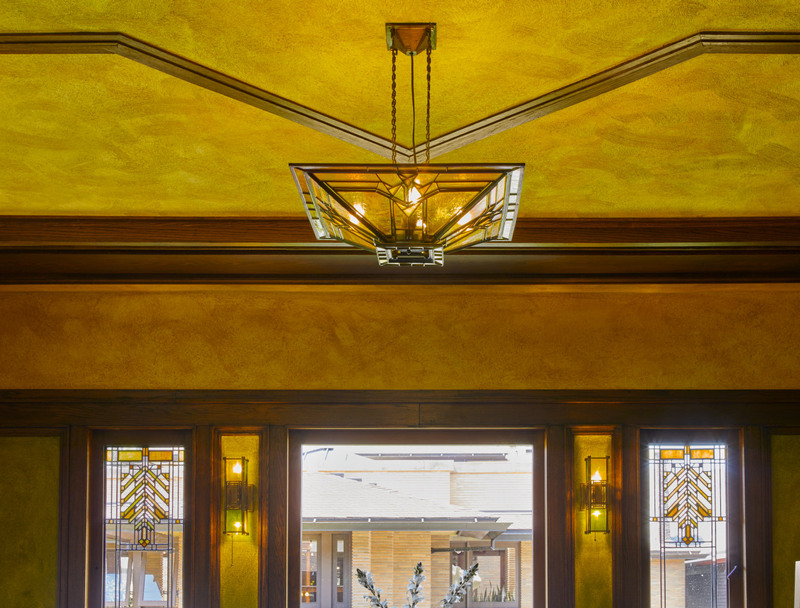 The Barton House, while an earlier piece of Wright’s portfolio, exhibits the unmistakable low-slung proportions, large, overhanging roof, and ribbon windows associated with the Prairie School style. 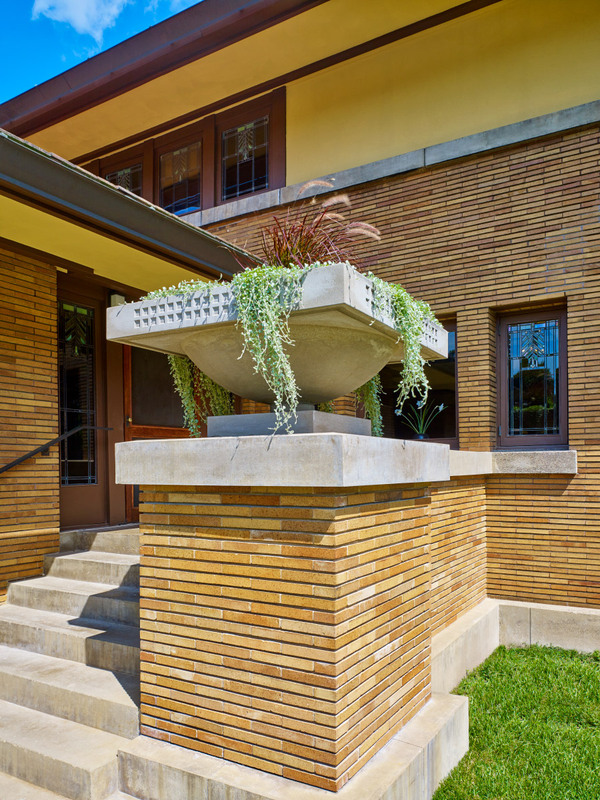 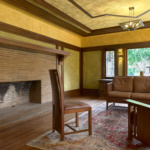 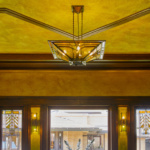 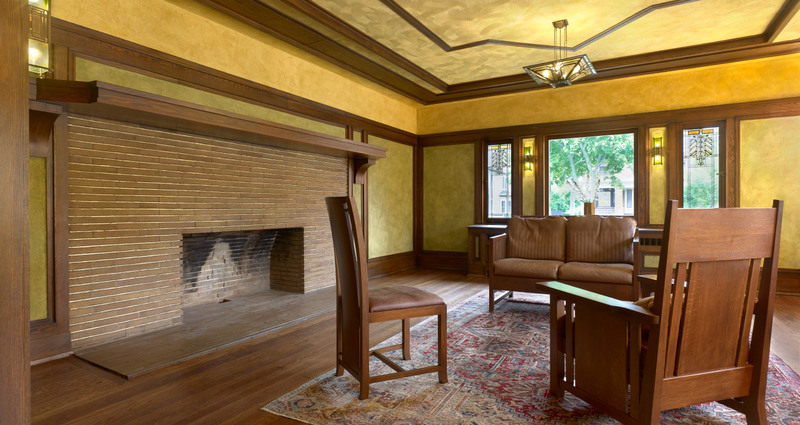 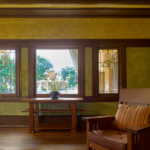 The design of the house and use of gold-tinted brick in the fireplace and terracotta roof tiles share similar beats with Wright’s J.J. Walser Jr. House in Chicago, which opened the same year. 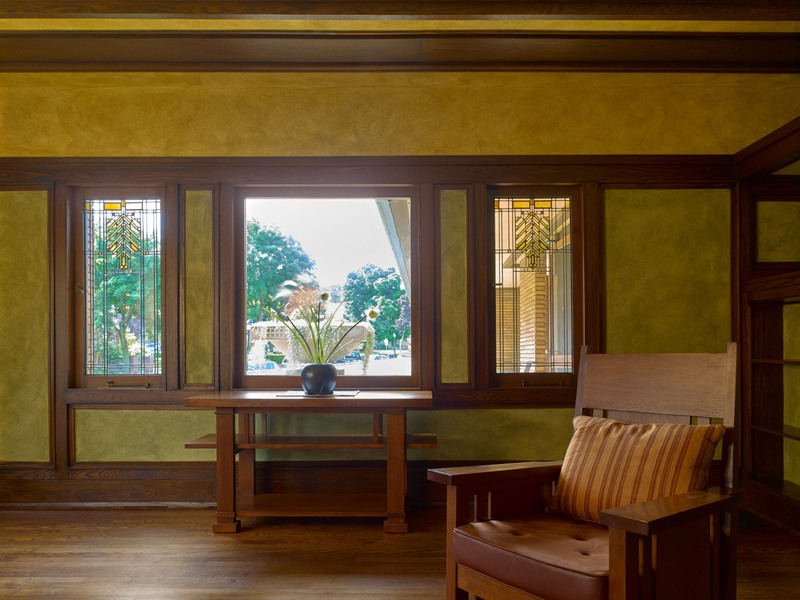 The Martin House compound is open to public guided tours, but private tours are also available, and the Barton House is available to rent for private events.